The threat of a nuclear attack on the UK in the 1950s caused concern over the supply of tea, top-secret documents which have now been released reveal. 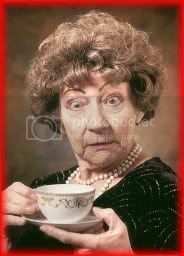 Government officials planning food supplies said the tea situation would be “very serious” after a nuclear war. “It would be wrong to consider that even 1oz per head per week could be ensured,” they stated. The papers were released under the Freedom of Information Act by the National Archives at Kew. The aim was to be “completely ready to maintain supplies of food to the people of these islands, sufficient in volume to keep them in good heart and health from the onset of a thermonuclear attack on this country”. “It has become increasingly clear that the severity of the attack which the enemy could launch would produce a catastrophe in the face of which past measures would be fatally deficient,” the document added. For planning purposes, the Ministry of Food listed London, Birmingham, Merseyside, Manchester and Clydeside as H-bomb targets. 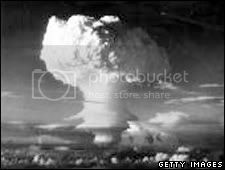 Tyneside, Teesside, Leeds, Sheffield, Hull, Derby, Purfleet in Essex, Southampton, Portsmouth, Bristol, Plymouth, Cardiff, Coventry and Belfast were named as A-bomb targets. Subjects down for discussion were arrangements for stockpiling food, emergency feeding and equipment, and the availability of bread, milk, meat, oils and fats and tea and sugar. Methods successfully used in World War II would be “unable to maintain bread supplies under the conditions envisaged”, the documents said. Police Brutality in Surrey, England! Lars Berger learning about wide-angel camera the hard way.